Life as an unemployed mom has been testing me lately. At first, I was grateful to get some extra time with the kids, to be able to take a breather during the day, exercise when I wanted, do special projects… But now I’m going on 7 weeks, and the novelty of it all has worn off. I really thought I would have had a job by now. I reveled in the time I had with the kids because it was supposed to be fleeting and short-lived. Now, due to our budget concerns, I’m getting a lot more time with them. 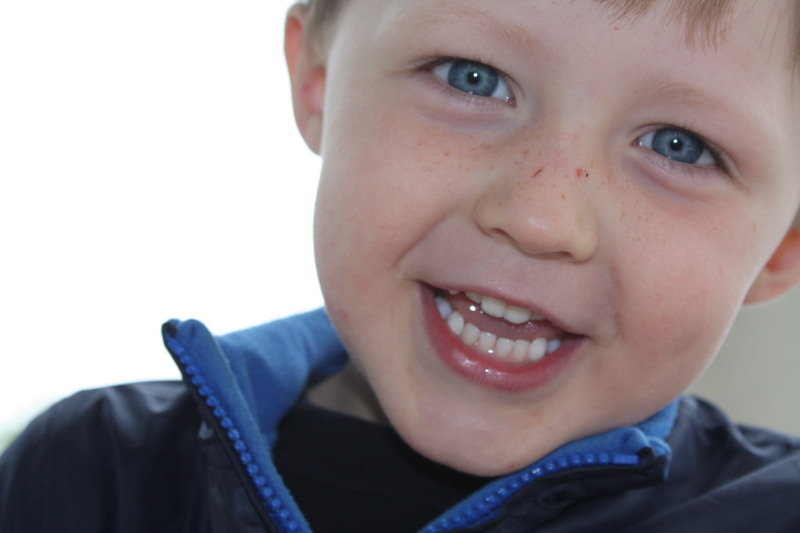 We’ve taken Mason out of aftercare, and we’re about to cut Cooper’s time at his school to only 2 days a week. Additionally there are many other cuts we’ve made in our lives, and it’s all been hitting me pretty hard. But during a conversation with a friend yesterday, I was reminded that I shouldn’t be complaining. There are a lot of people far worse off than me. We still have a roof over our heads (and it’s a pretty slate roof at that! ); we’re not on a Ramen noodle diet (although I have added soup to the menu more recently); I have a supportive husband who is not forcing me to get any side job I can just to bring in some extra money; and I have an amazing support network of friends and family who are here to help whenever we need them. It was a good reminder. I needed it. I needed to get a slap back to reality. I may not have a job, and we have had to make some changes because of that, but what I do have is a lot of things that money doesn’t buy. Having more time with my kids should be a blessing, not a curse. Life without cable will mean more conversations with my husband and more time to read and do fun things. Washing our own cars this past weekend was a fun activity that got the kids involved and outside on a beautiful day and taught them (and me) about the power of feeling proud of the work you’ve done. These are just some of the little things that are good nuggets of what life is all about and what I should be focusing on. It’s about everything I have, rather than everything I’ve lost. I’ll have to keep reading this post as a reminder to myself over the next several weeks when I’m ready to pull my hair out in frustration. I’m sorry to keep talking about spring, but I just love it. Today, I was driving down one of my favorite streets… the flowers were blooming, the leaves on the trees were coming out, and everything was so full of color. I wanted to stop the car and take a picture of it all, but it just wasn’t in the cards today. So when I got home, I decided to take a few pictures of signs of spring. 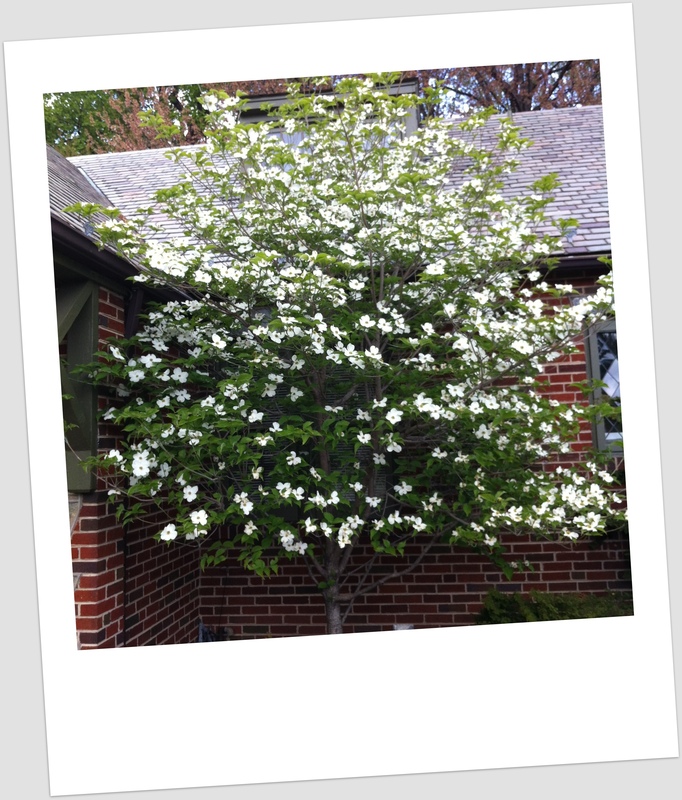 The blooms are almost gone, but this dogwood is one of my favorite trees in our front yard. 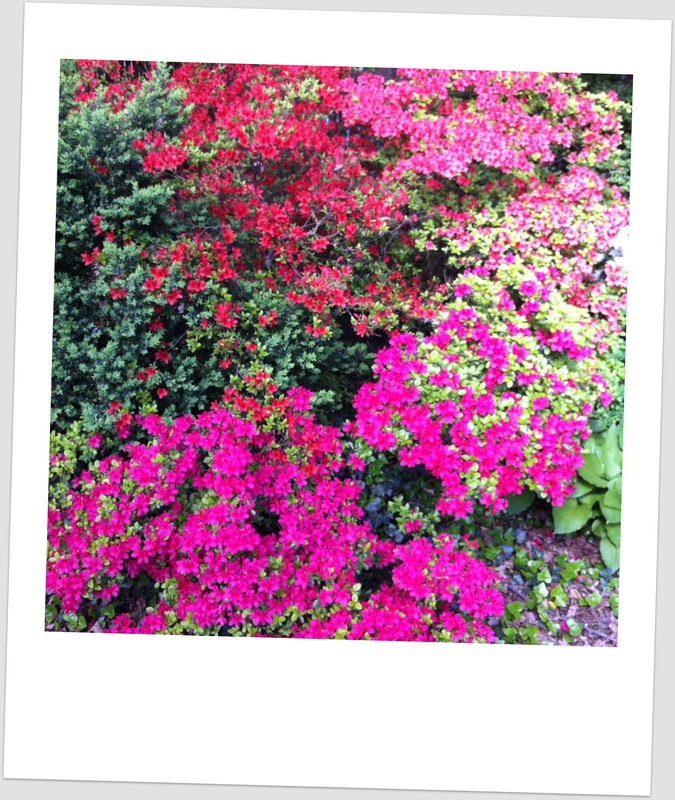 While I have tried to get rid of these azaleas for years, I admit they do bring a nice pop of color to our backyard. Ok, so I didn’t rush out to Brookside Gardens to get a picture of the tulips. I already had that one from last week. It’s just amazing to see so many tulips together. I love having them in a vase on the dining room table, but I love even more to see them filling an entire field. Seeing all this “rebirth” is inspiring to me to renew myself – my attitude, my body, my professional life. That being said, I’m linking up with Nain at View From Down Here for Motivational Monday. I’m using these signs of spring to motivate my own rejuvenation. How about you? 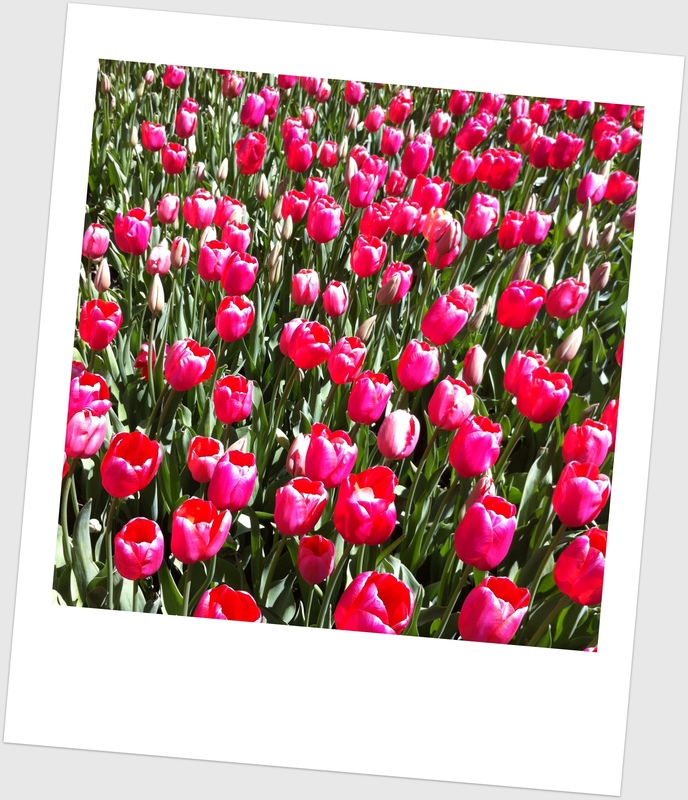 Link up to Nain’s Motivational Monday if you have something motivating you this spring. Don’t get me wrong, I was enjoying every minute of it. I love Taylor Swift and think she is a great role model. But I definitely imagined this same scene playing out again and again over the coming years. Whether it is Taylor Swift or the next big thing… Just us gals driving along and singing our hearts out. 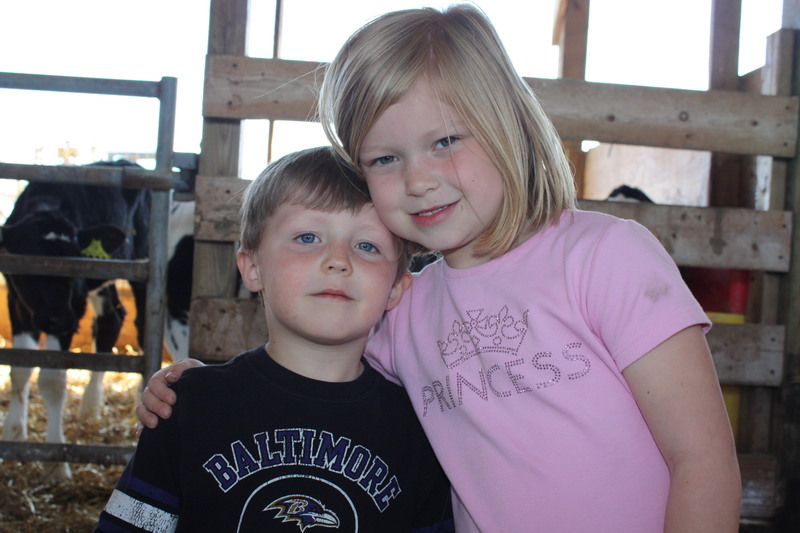 Some of my favorite childhood memories include the same thing – whether on the way to soccer with my teammates or driving to my friend’s house for a sleepover – and I hope Mason enjoys it as much as I do and cherishes the same memories when she is older. She definitely loves music and loves singing along just like me. It must be a girl thing. With temperatures in the 70’s in early March, it was hard to remember it was still winter at that point. 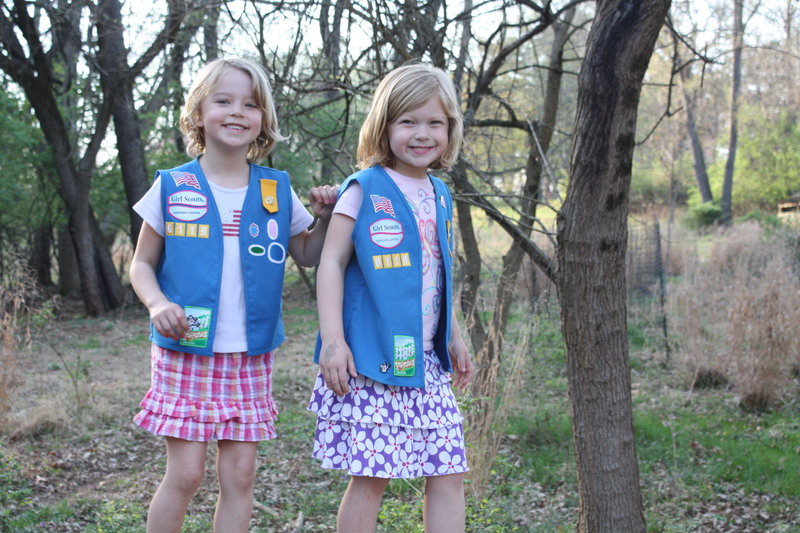 Daffodils were blooming, more kids were back at the playground, and we were even roasting marshmallows! I know it sounds crazy, but we kicked off spring with a bang this year. Apparently while we were at Disney, it was gorgeous and warm here in Maryland. And of course, as soon as we got back, the temperature dropped. But we’ve still enjoyed some warm days around here. 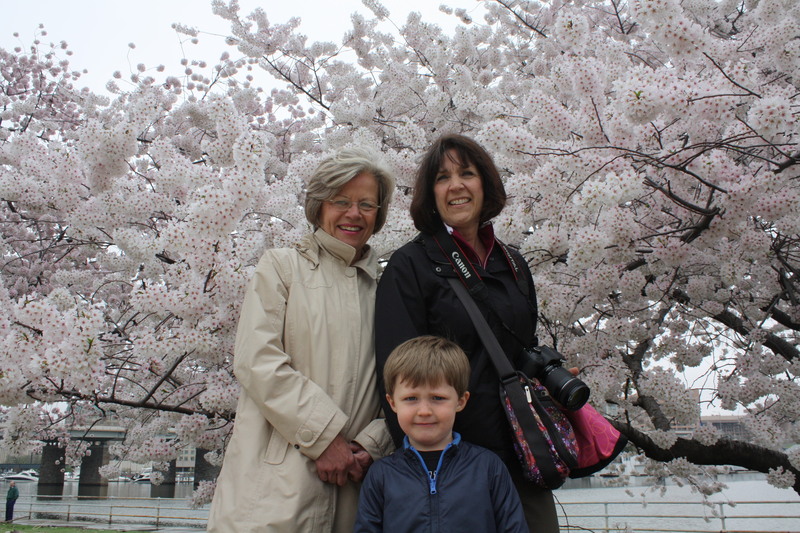 Meema, Nana, Cooper and I made the trek to see the cherry blossoms in DC. Sadly, it was a cloudy day, so not the best for pictures. But we enjoyed this springtime tradition. Cooper is ready for summer already. Every morning he asks if he can wear shorts. I'm sure the heat of summer is not too far off considering our early spring. Mason is quickly mastering the jump rope. I think she gets it from me... 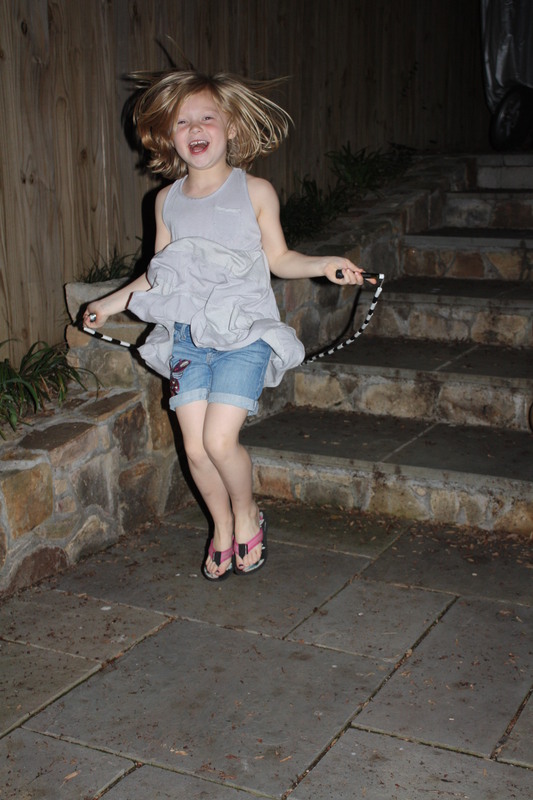 I mean I was in a jump rope show in 5th grade, so must be in the genes. 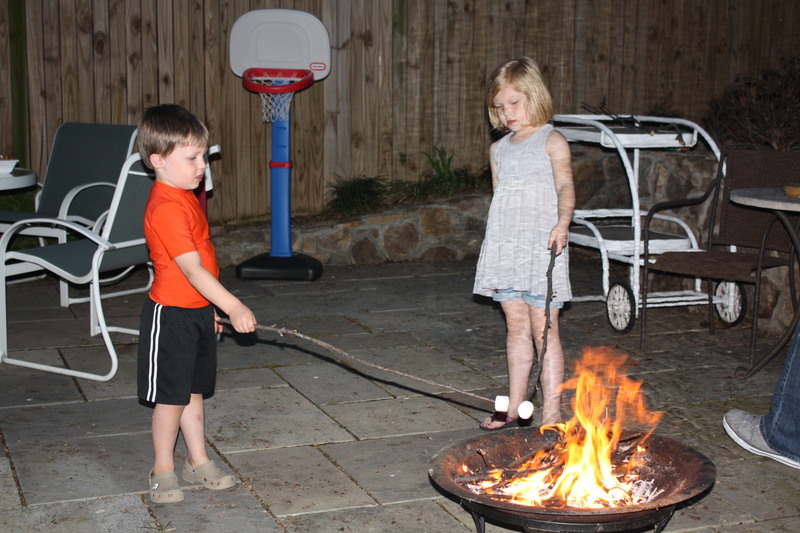 S'mores in March? Heck yeah! It was a beautiful night, so why not? It’s easy to enjoy the warm weather with excitement, but in the back of everyone’s mind is the fear that a hot summer will be coming quickly. 70’s and low 80’s are my ideal temps, so I can only dream that we will get to enjoy a nice long spring. Soon enough, we’ll be racing inside to cool down with A/C. Until then, though, we’re taking advantage of all that this early spring has to offer!